The iPod Shuffle, made waterproof by AudioFlood, lets you swim and enjoy tunes from a fully functional, 4th generation iPod Shuffle with 2gb of memory. I used the water proof AudioFlood iPod for some easy swims, one harder swim workout (I had trouble with mixing music and swimming during this faster swim workout), and I took the Shuffle for a run in the rain. Like to swim? Like music? Want both at the same time? Did you know that listening to music while exercising has been show to be a good mix - "motivational music has been shown to augment exercise performance" (About.com Sports Medicine). What do I think of the AudioFlood Waterproof iPod Shuffle? I like it. Most of the time. Read on. The package arrived, I opened it, looked at the pieces and said to myself... "This is waterproof? It looks just like any other Shuffle I have seen. I hope it works, I don't want to ruin it." I downloaded iTunes, set up the shuffle to charge, and loaded some music on to it that I thought I'd like to hear while swimming. NOTE - pay attention to the rhythm of the exercise music you load; I often found myself swimming to the music vs. swimming at the desired speed or effort of the workout set - the swim could easily become fartlek-like vs. meeting the goals of the workout; that might be good or bad, that is up to you. I then test-fitted the waterproof headphones and switched the ear pieces several times until I thought I had a good tight fit. By the time I got around to that stage, the iPod was charged and had music on it, so I plugged in the headphones, switched it on, and clicked play. UGH! It sounded very tinny, not what I had expected from an iPod. I switched to the non-waterproof headphones. Sounded great! OK, I thought, the waterproof headphones are not the best sound quality, I need to check them under water. Off to the pool for a swim. Time for a test swim. I attached the Shuffle to my goggle strap, wrapped the excess waterproof headphone cord around the iPod's clip, put on my goggles, put the headphones on and went underwater. Well, that is better sound. The headphones are not very good quality when above water, but there is a dramatic improvement when underwater. Still not "high-fidelity" but better than I expected for underwater music. I started my swim - today was just going to be swimming, no specific workout, just checking out the iPod - and the earphones stopped working well almost immediately as soon as I started to swim. They cam loose and water leaked into my ear, stopping the music. I went back to the wall and switched sizes of ear pieces and tried again. Better! No major trouble swimming and hearing music at decent quality (I'd call it better than AM radio sound quality). I had the occasional dropout during flip turns, but it would come right back as soon as I finished the turn. The earphones would occasionally come loose, but not often, and when I tried them with a swim cap they never came loose. I tried pushing the buttons while swimming, everything worked the way I expected. The iPod kept playing music, the water had no effect on its operation. 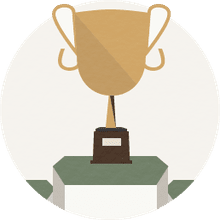 When I tried to do a faster workout a few days later, it was a challenge for me (and this might just be me) to keep my mind on the workout and what I was trying to accomplish. I kept being pulled into the music. This was not the iPod's fault... rather, it was my inability to focus - heed my warning - if you are not ready for it, the music can take over your workout! I went for a rain run with the iPod, using the regular headphones, and the Shuffle worked great! What Does AudioFlood Say About Their iPod Shuffle? We completely encapsulate all of the electronic components in sealant. The inside of our shuffles are entirely filled with sealant resulting in no voids or empty air spaces. Because of this difference, there is no way for water to access the electrical components. So when people say the our waterproofing is solid, it is not just a figure of speech. Other waterproofing techniques try to use sealant to fill in the gaps in the shuffle housing to prevent water from entering. This method results in empty space between the sealant and the electronics it is meant to protect. Because there is empty space inside the shuffle, as the external water pressure builds it is eventually able to push the sealant out of the way, into the empty space, and allow water to enter. In contrast, as the pressure builds on our shuffles it simply presses the sealant harder against the electrical components. This is the why we are able to get much better depth ratings than other companies. Other companies often disable the on/off slider on their shuffles because using it over time will dislodge the sealant around the slider. Since the entire inside of our iPods are solid sealant, moving the on/off slider back and forth still does not give the water any way to access the internal components. On our shuffles all of the buttons work, and there aren't any absurd limitations like not being able to plug in the headphones while submerged. What Do I Think of the AudioFlood Waterproof iPod Shuffle? I think it does all it is supposed to do. 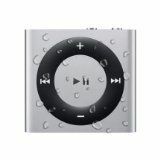 It plays music, and plays it as well as any other iPod, in a very wet environment. If there was a way to make the music sound the same as it does in the water and on land, it would get 5-stars. Once it was set-up the iPod Shuffle was easy to use, made my easy swim a different experience (in a good way), and was equally good on land, even in the rain (with better sound quality via the regular headphones). I would not use it for a workout that requires focus, but it could be used during warm-up and cool-downs even during those workouts.